Refinement, sophistication, style, and comfort are the hallmarks of a traditional luxury automobile. Such cars soothe you, satisfy you, and if they're attuned to what is a frequently overlooked and undervalued everyday luxury, simplify your life. Additionally, many luxury cars deliver enjoyable driving dynamics, providing a supple ride without eroding handling capability. Through a responsive drivetrain, telepathic steering, faithful brakes, and impeccable balance they reflect an understanding that journeys are about more than simply reaching a destination. Mazda is a mainstream brand, but it infuses the entry-level Mazda 3 with the qualities of both a luxury car and a performance car. No doubt, this is a small car. But it is big on quality, design, and dynamism. For 2017, Mazda has made several important changes to the Mazda 3. All versions meet Partial Zero Emission Vehicle (PZEV) emissions standards in all 50 states, and the company installs its new handling-enhancement technology called G-Vectoring Control. Subtle exterior design changes and new interior treatments signal the 2017 model, along with added standard equipment for all three trim levels and several new option packages that truly give the Mazda 3 a premium level of equipment. For this review, our expert evaluated a 2017 Mazda 3 Grand Touring sedan with an automatic transmission, Premium Equipment package, i-ActiveSense package, door sill trim plates, and a carpeted cargo mat. The price came to $27,930, including the $835 destination charge. Before we discuss the results of our evaluation of the refreshed 2017 Mazda 3, it's helpful to understand who bought the previous version of this car and what they liked most and least about it. Compared with the Compact Car segment, the Mazda 3 appeals to buyers who are more often male, younger, and more affluent. J.D. Power research data shows that 61% of Mazda 3 buyers are men, compared with 59% for the segment. They're 46 years of age, on average, vs. 48 and enjoy a median annual household income of $82,292 vs. $72,685. Members of Gen X (those born 1965-1976), Gen Y (1977-1994), and Gen Z (1995-2004) comprise 65% of Mazda 3 buyers, compared with 57% for the Compact Car segment. Mazda 3 buyers identify themselves as price buyers, with 47% indicating as such, compared with 38% of compact car owners. They also skew slightly toward a performance-buyer mindset (13% vs. 10%), and 91% of them agree that they like a vehicle with responsive handling and powerful acceleration (vs. 87%), though fewer Mazda 3 buyers agree that their family members and friends think of them as someone who knows a great deal about autos (49% vs. 56%). According to J.D. Power research, safety is important to Mazda 3 buyers, who more frequently agree that they will pay extra to ensure that their vehicle has the latest safety features (76% vs. 71%). Additionally, they more often disagree that a vehicle is just a way of getting from place to place (60% vs. 49%), and more often agree that they like a vehicle that stands out from the crowd (71% vs. 67%). Mazda 3 buyers more often agree that they are willing to pay more for a vehicle that is environmentally friendly (63% vs. 57%). 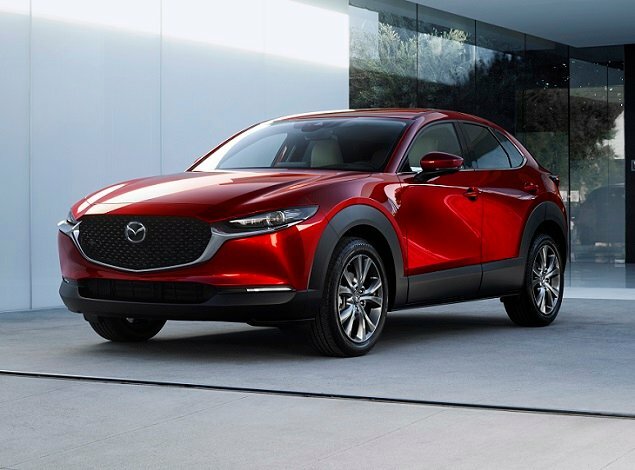 Fuel economy is not as significant a concern, with only 73% saying that it is their first consideration in choosing a vehicle (vs. 79%), which could explain why so many Mazda buyers are satisfied with their vehicle's gas mileage. Mazda 3 buyers say their favorite things about their car are (in descending order) the exterior styling, interior design, engine/transmission, driving dynamics, and fuel economy. Buyers indicate their least favorite things about the Mazda 3 are (in descending order) visibility/safety, seats, infotainment system, climate control system, and storage and space. To a certain limit, larger wheels always look better on a car than smaller ones do. For 2017, Mazda wisely adds standard 19-in. wheels to the mid-grade Touring trim level, giving that less expensive variant a more substantial appearance. My Grand Touring sedan test car wore Mazda's alluring new Eternal Blue Mica paint, and it looked sensational. This, combined with the automaker's "Kodo" design cues, makes the Mazda 3 Grand Touring look more like an entry-level luxury sedan ready to take on the more expensive Acura ILX, Audi A3, and Mercedes-Benz CLA-Class. If you ask me, the Mazda has more style and panache than any member of that trio, and this car's owners evidently agree. Mazda infuses its entry-level car with quality materials and components, which helps to explain why interior design is a hit with owners. From the use of soft materials and the heft of the controls to the way the storage areas are lined and even the plastic covering the inner part of the door armrest grips and the backs of the steering wheel spokes, nothing looks or feels obviously cheap. This attention to detail is also evident in the Mazda 3's control layout, instrumentation, and displays. Minimalism rules, but for the most part not to the detriment of user-friendliness. My test car had the new Parchment leather color, which extends to the door panels and contrasts sharply with the black dashboard and carpets. The look is distinctive, tailored, and upscale, but it is worth noting that dark-rinse jeans deposit their dye on the leather. The Mazda 3 has a tight interior, one that is obviously smaller than competitors such as the Chevrolet Cruze, Honda Civic, Hyundai Elantra, Nissan Sentra, and Toyota Corolla. This, more than any other reason, legitimately limits the Mazda's appeal. Once you've gotten into the car, though, the Mazda 3 provides a snug fit but impressive comfort, not unlike a pair of yoga pants. I'm 6 feet tall and weigh about 250 lbs., and I find the height-adjustable driver's seat absolutely agreeable. For 2017, Mazda offers a heated steering wheel for the first time, making the smooth leather wrapped around the new wheel design even more pleasing to grip. Front-seat passengers also enjoy a comfortable seat, but it lacks a height adjuster that would make the car easier to enter and exit while positioning people shorter in stature a little higher in the vehicle. Mazda does its best to make the back seat habitable by full-grown adults. Foot space beneath the front seats is generous, and the front seat backs are softly padded. That's a good thing, because rear-seat passengers with long legs will find their knees and shins in full contact with them. Blending high design with utility, the Mazda 3 Grand Touring's dual-zone automatic climate control system is stylish, functional, and easy to use. Heated seat and steering wheel activation buttons are located within a strip located between the climate system controls and the Mazda Connect infotainment system. If you carry passengers on a regular basis you'll want to note that rear-seat occupants do not receive air vents that might deliver cool air on hot days. Mazda Connect is, for the most part, an excellent infotainment system. The 7-in. display screen is touch-sensitive when the car isn't moving, and when the car is moving it's not. The design emphasizes Mazda's focus on the driver, and driving. On the center console, a knob flanked by "Return" and "Home" buttons simplifies screen operation. The driver or front-seat passenger twists, pushes, and slides the knob to make selections on the screen while the car is underway. With time, using it becomes second nature. On the steering wheel, Mazda provides rocker switches for volume and radio station pre-set selections. A smaller knob on the center console also adjusts volume and activates a mute function. Icons shown on the screen allow the Mazda 3's driver to extensively configure the car. It takes some time, but once you're done, you're done. Pairing an iPhone 6 to the Bluetooth took a little longer than in some vehicles, but was nonetheless easy. The voice-recognition system requires specific prompts to be understood; unless you know the exact address of the destination, it is simpler and less frustrating to use the center control knob and screen menus to find points of interest. Mazda Connect provides E911 automatic emergency notification service, text-messaging support, and access to internet radio when a smartphone is connected via the USB port. It does not offer Apple CarPlay or Android Auto smartphone-projection technology, or safe teen driver functions that are increasingly common in competing models. My test car also had a Bose Centerpoint surround audio system with 9 speakers. I had some trouble dialing in the right amount of bass, but otherwise enjoyed the sound quality. Equipped with a 12.4 cu.-ft. trunk, the Mazda 3 sedan is not as adept at carrying cargo as its 5-door hatchback sibling, which can haul as much as 47.1 cu. ft. of your stuff. Inside, the 2017 Mazda 3 gains additional storage thanks to redesigned front door panels with larger storage bins that can now hold 1-liter bottles of water. This is a welcome improvement, given how small the center console storage bin is. Otherwise, Mazda supplies a large glove box, good-sized cupholders, and a rubber-lined tray just forward of the gear selector. Small bins carved into the armrests help to maximize space, along with an overhead sunglass holder and card slots embedded into the visors. Rear-seat passengers are not quite as generously accommodated, with nothing more than seat-back map pockets, bottle and cupholders, and small armrest cubbies available for storage. Thin windshield pillars, large side mirrors, and a standard reversing camera make it relatively easy to see out of the Mazda 3 sedan despite its tapered greenhouse and tall rear window. Touring and Grand Touring trim levels also get a blind-spot monitoring system with rear cross-traffic alert, and dealers can install rear park-assist sensors if you wish. By Insurance Institute for Highway Safety (IIHS) standards, the 2017 Mazda 3 is an exceptionally safe small car, earning a "Top Safety Pick+" rating from the organization. In fact, the addition of full-speed-range Smart Brake Support as an option has increased the car's crash-avoidance and -mitigation rating from "Advanced" to "Superior." In order to get this system, you need to get the Grand Touring trim and upgrade with the i-ActiveSense option package. It also contains a dynamic cruise control system, lane-departure warning system with lane-keep assist, automatic high-beam headlights, and traffic sign-recognition technology. It all works accurately, and Mazda's technology successfully recognized when a highway narrowed from two lanes to one, refraining from sounding a lane-departure warning alert. Owners can turn the lane-keeping assist system off and on at will, as well as the audible lane-departure warning system. Another feature, unusual in the Mazda 3's Compact Car segment, is a head-up display designed to help reduce driver distraction. Drivers can even program it to provide a visual warning that the vehicle has exceeded the speed limit, which in this car is quite easy to do. Sport and Touring trim levels of the 2017 Mazda 3 are equipped with a 2.0-liter 4-cylinder engine making 155 horsepower. It provides a slight increase in fuel economy combined with a slight penalty in performance, combined with the larger motor. My Grand Touring test vehicle had the larger, 2.5-liter 4-cylinder engine, good for 184 horsepower and a 35-lb.-ft. bump in torque. The trade-off is 1 or 2 miles per gallon, depending on whether you get the 6-speed manual gearbox or 6-speed automatic transmission. 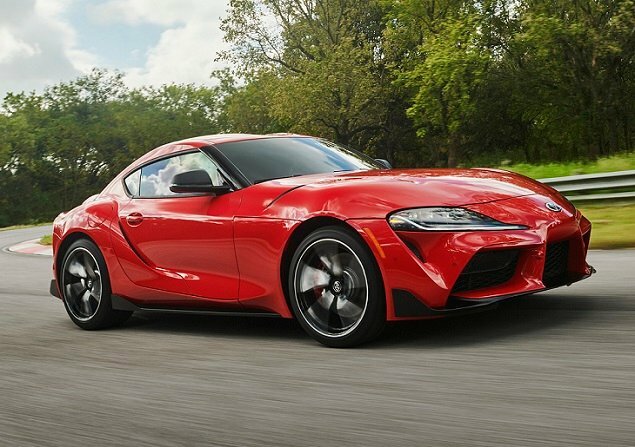 Though it lacks the swollen power curve of a turbocharged engine, the 2.5-liter is nevertheless responsive, especially when the driver switches into Sport mode. Furthermore, it revs with refinement–the noise, vibration, and harshness commonly associated with 4-cylinder engines quelled to an impressive degree. With the automatic transmission, drivers can move the selector to the left to engage manual-shift mode. Mazda uses a counterintuitive shifting pattern for the selector, but paddle shifters make it entirely unnecessary to remember that you must move the lever up to execute a downshift, and down to make an upshift. If you choose the optional i-Eloop package, which includes a regenerative engine-braking system and active grille shutters, your Mazda 3 Grand Touring sedan is rated to get 31 mpg in combined driving with the automatic transmission. My test car did not have this upgrade, as a result earning an EPA rating of 30 mpg. On my test loop, the Mazda 3 averaged 29 mpg. I had the car's Sport driving mode engaged about half of the time, and thoroughly exercised the paddle shifters on the most entertaining part of the test loop. For a decade, I have been using the same driving loop to evaluate each of my test vehicles. Often, on the twisty mountain road section, I'm ready to slow down and stop exploring a vehicle's limits well before I need to make my right turn onto a wide coastal highway. It isn't often that a mainstream car like the Mazda 3 makes me sad that the fun is coming to an end. But that was the case with my Grand Touring test vehicle. Without driving the 2017 Mazda 3 back-to-back with last year's version, it is hard to definitively say that the company's new G-Vectoring Control technology has made this sprightly little car even more fun to drive than ever. After all, the Mazda 3 has long served as one of the more reliable forms of entertainment in its class. Still, there's something almost magical at work here. Like the best BMWs of yore, the Mazda 3 Grand Touring behaves like it is hard-wired into your synapses, a 4-wheeled extension of the driver's body that accelerates, brakes, turns, and rotates before you're even aware that you wanted the car to do so. Obviously, there are limits to what a stock Mazda 3 can do. This car isn't about outright performance so much as it is about turning what many people view to be drudgery into a delightful driving experience. While I had an epiphany on Southern California's Mulholland Highway, the fact is that the Mazda 3 is enjoyable no matter the environment: city, suburbs, and the open road. In short, the Mazda 3 reminds people that there is joy to be found in transporting your body and soul from one location to another. And joy is always a good thing. Mazda has done an excellent job of designing, engineering, and equipping its compact car, the Mazda 3. 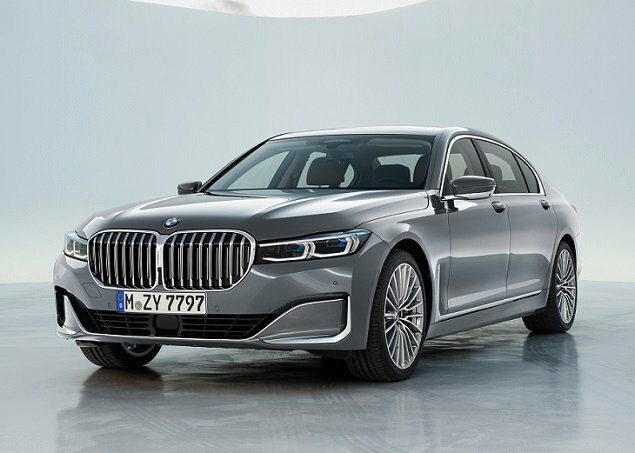 Particularly in Grand Touring trim, it is equal to similarly sized but more expensive models offered by luxury brands when it comes to style, sophistication, and driving satisfaction. Buyers are most unhappy about the car's lack of size, as reflected in dissatisfaction with the seats, storage, and space. But Mazda has a solution for that, too. It's called the Mazda 6, a midsize car that provides more room for people, cargo, and things at a similar price–as long as you're willing to live without a few extras. Mazda North American Operations supplied the vehicle used for this 2017 Mazda 3 review.